The Book of Revelation provides information of coming events that will affect everyone on earth. This information is presented in the form of prophetic symbols. Using these symbols, Heaven warns that one of the greatest persecuting powers known to history will again arise to prominence and take an active role in persecuting the elect of Yah. For over 1,000 years, the Roman Catholic Church was the main instrument of persecution wielded against the faithful, those who wanted to worship Yah according to the dictates of their consciences. 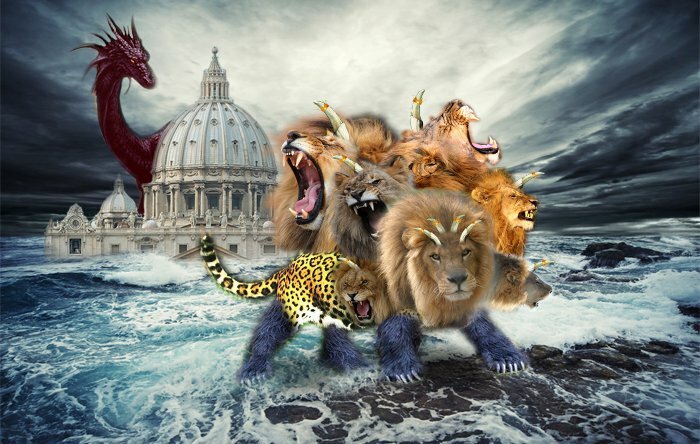 This is the first identifying characteristic that ties the beast of Revelation 13 to the Roman Catholic Church: it arose in the “Old World” – a place heavily populated and it was there that it exercised its power. The beast from the sea that John saw had the body of a leopard, the feet of a bear and the mouth of a lion. This is significant because these very beasts were used in Daniel to represent the three world-wide powers that persecuted Yah’s people before the rise of Rome. John’s beast is an amalgamation, combining the characteristics of the three preceding world powers. The Roman Catholic Church, which took over from Pagan Rome as a persecuting power, contains the humanism of Greece (the leopard), the exaltation of Sunday from Medo-Persia (the bear) and worship calculated on a continuous weekly cycle from Babylon (the lion). 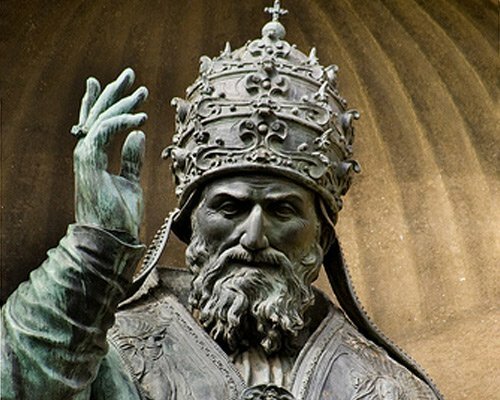 To a great degree, Roman Catholicism received its power from paganism. By adopting and accepting pagan practices into the Church, Catholicism gained in power and popularity, extending her reach, literally, around the world. Pope Gregory XIII, best known for commissioning and being the namesake for the Gregorian calendar, which remains the internationally accepted civil calendar to this date. In no other area is this seen more clearly than in the modern calendar, devised for and named after Pope Gregory XIII. The entire world is united in the use of this counterfeit calendar with its counterfeit days of worship. Catholics even boast that the sign of their authority is the fact that they changed the Sabbath to Sunday. At the Council of Nicæa, the Biblical calendar was abandoned and the pagan Julian calendar was adopted for establishing times of worship. This fact is symbolized by the amalgamated beast having seven heads on which are ten horns. 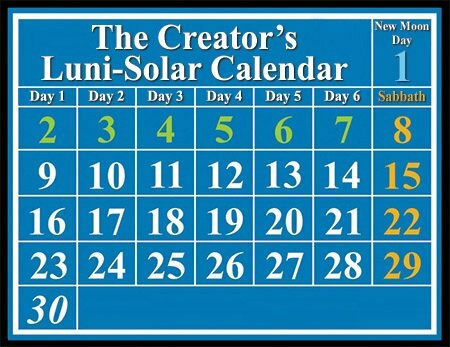 The Church of Rome rejected the ancient luni-solar calendar in favor of the pagan planetary week of seven days with its continuous weekly cycle. 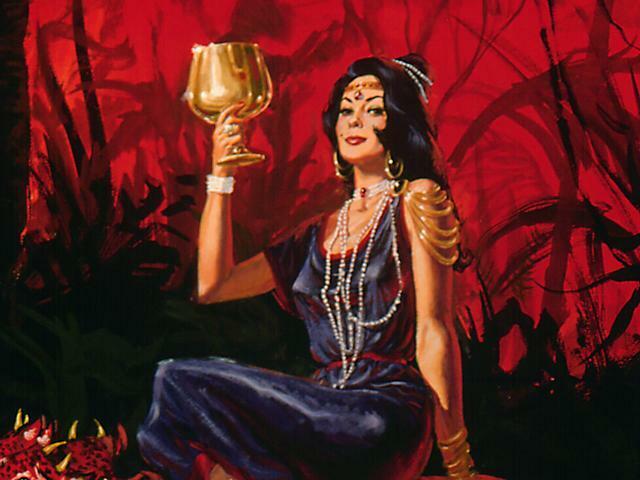 In Scripture, a woman is used as a symbol of a church. A "harlot," therefore, stands for a corrupt church. The Roman Catholic Church is the “mother” because all other religions, not just Christian denominations, calculate their worship days off of the calendar created by the Catholic Church. But the beast John sees has received a “deadly wound.” This occurred in 1798 when the dominating power of the Catholic Church was taken away by a quick series of events. In February of 1798, that power which had caused kings to tremble under the power of its interdict was humbled to the dust when French General Louis-Alexandre Berthier, a Huguenot, took Pope Pius VI prisoner on Napoleon Bonaparte’s orders. Two months later, on April 3, the French government enforced the use of its own calendar, consisting of 10-day weeks. This realignment of the calendar destroyed the papal day of worship. By removing Sunday from the week, it struck right at the papacy’s claim of authority: the change of worship day to Sunday from the Biblical Sabbath. This was the “deadly wound,” received by the papacy. In prophetic time, one day equals one year and each month has 30 days in the majority of cases. “I have appointed thee each day for a year.” (Ezekiel 4:6, KJV) This Biblical principle applies to all prophetic time-periods within the 2300 year prophecy, the longest time prophecy in the Bible. The fulfillment of this time prophecy marks the commencement of "time of the end." The principle of one day equals one year cannot apply to time prophecies that will be fulfilled during the "time of the end." For "time of the end is too short to accommodate this principle. This began in A.D. 538 when General Belasarius, acting for the Byzantine emperor, Justinian, freed Rome from the power of the Arian Ostrogoths after a siege lasting a year and nine days. While the power of the Ostrogoths over northern Italy was not immediately broken, the acceptance of Belasarius by Pope Silverius and the subsequent freeing of Rome from the Ostrogoths paved the way for the Roman Catholic Church to enforce their pagan doctrine of the trinity – a doctrine the Christian Ostrogoths vehemently rejected. This despotic iron rule extended 1,260 years during which millions of true-hearted Christians were martyred for their faith. It ended, right on time, in 1798, with the capture of the pope and the removal of Sunday, the sign of papal power, as a holy day. This has been done as the entire world regulates its work days and holy days by a creation of the Roman Catholic Church. Since World War II, the entire world has been united in using Pope Gregory XIII’s calendar. • YAH's Calendar Articles: Click Here. • YAH's Calendar Videos: Click Here. All who seek to honor the Creator by returning to worship on the seventh-day Sabbath of the ancient Biblical calendar, will incur the wrath of the dragon and the beast. But Yah’s eye is upon His people and His ears are open to their cry. All powers that persecute the righteous will, in the end, face divine justice. Here is the patience and faith of the saints, the promise that holds them strong in the face of the fiercest persecution – which is yet to come!